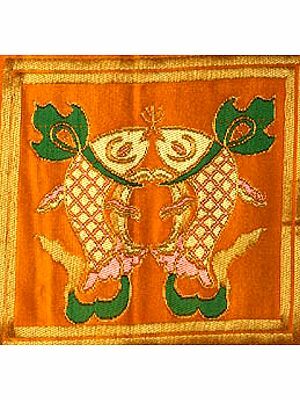 Browse Through Collection Of Banarasi Brocaded Borders At ExoticIndiaArt. The ancient Indian city of Varanasi is alive with spiritual and aesthetic significance. While it is the preferred pilgrimage for millions across the subcontinent, it is hands-down the bridal fashionista's choicest destination. And it is not just about the sumptuousness of its brocade sarees or the exquisiteness of its silk dupattas. Each and every kind of the produce of its looms finds its way into our one-of-a-kind ethnic collection, and this section comprises of key home decor pieces for the lover of all things Indian. There is something distinctly youthful and bridal and new about the sarees and suits woven in Varanasi. The weavers who make them have been putting together these wearable works of art using techniques perfected over generations. The touch of this characteristic youth and newness should go into not just what a bride wears but also into the home she sets up, the decor she chooses to use. The borders, patches, kinaris, laces, and trims in this section have been handpicked with this in mind, for this characteristic appeal and flawless finish.